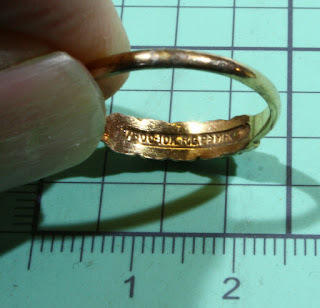 Guy Digs It Up: First Gold ring! I got permission this morning to hunt on a private property where they hold flea markets. I don't think anyone has detected there so I was finding coins constantly, I mean every 2-3 feet, a total of $1.16! 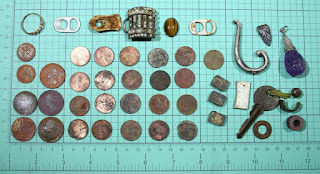 20 clad pennies, 2 dimes and 3 quarters and a couple of interesting tokens. There was also some costume jewellery and other junk not show like nails etc. One piece of metal might be silver. 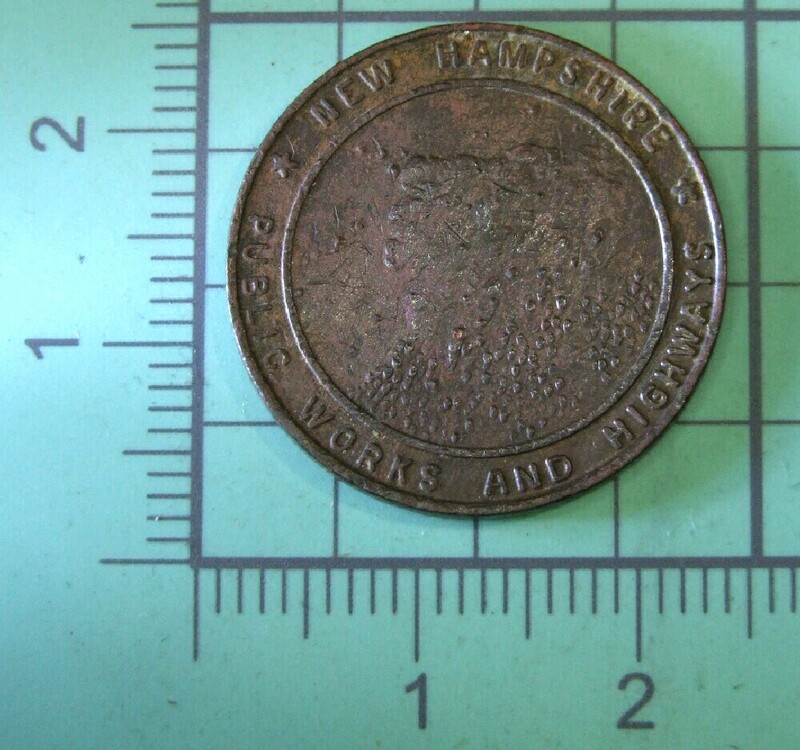 One Token is from the New Hampshire Public Works and Highways - presumably for highway tolls. After 2.5 hours I was getting tired, but then I got a good signal and BAM! 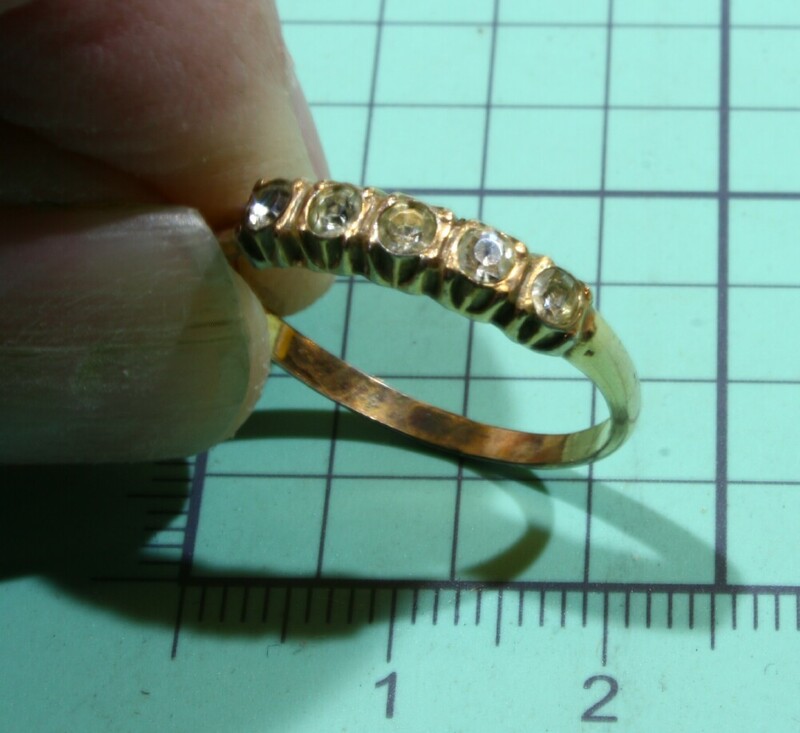 A gold ring with 5 "diamonds"! It weighs in at 1.56 grams. When I cleaned it up I found the markings read: "10K R.G.P. >MH<" so it's 10 karat rolled gold plate. The stones are fake diamonds - maybe zircons? 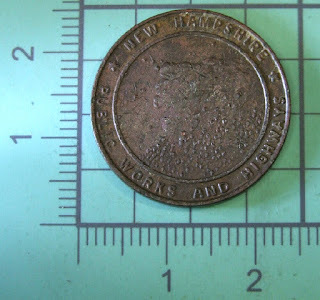 Basically costume jewelry, but what a thrill to dig up! I plan to work this site all summer! I just ordered a precious metal testing kit and a diamond tester. I already have a small jewellery scale. I love tools and any excuse to buy cool ones is fine with me.